A dazzling and thrilling new production, Stanton Welch’s La Bayadère is world-class entertainment that shows The Australian Ballet at its best. Besides a preponderance of truly beautiful dance, the ballet calls for exemplary acting skills and stunning corps work, and the dancers of The Australian Ballet are more than up to the challenge. 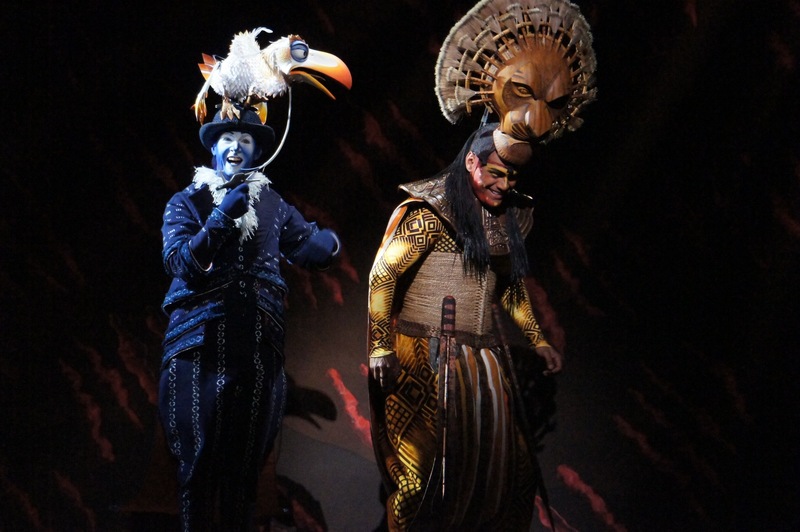 The production is also distinguished by large-scale scenery, glittering costumes and glorious music. 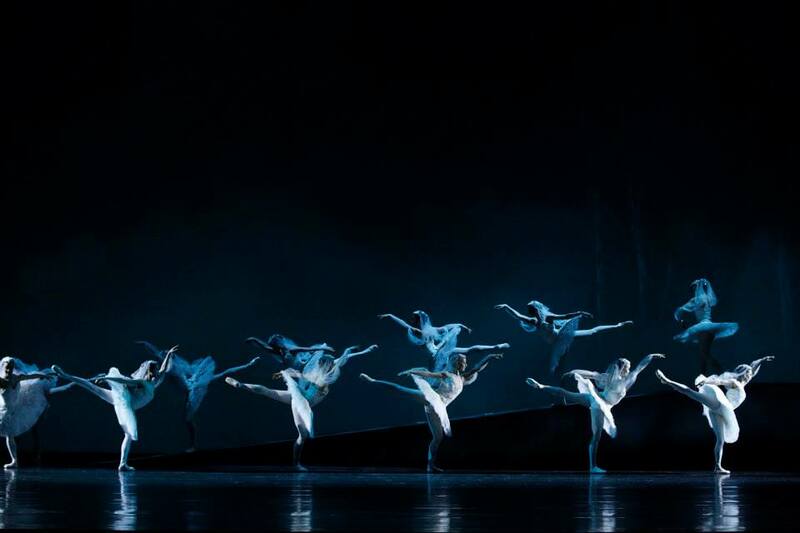 Created by resident choreographer Stanton Welch in 2010 for Houston Ballet, La Bayadère is set to be an instant gem in The Australian Ballet’s repertory treasure chest. The decision to present this version in Australia is a canny choice by Artistic Director David McAllister and team. Apart from providing a sensational showcase for the dancers, the production was clearly designed for a similarly sized space to the mighty State Theatre, where it looks superb. Welch’s choreography is insightful and carefully considered as well as being spectacular to watch. Storytelling is crystal clear, and the dramatic plot unfolds with plenty of tension and surprises. 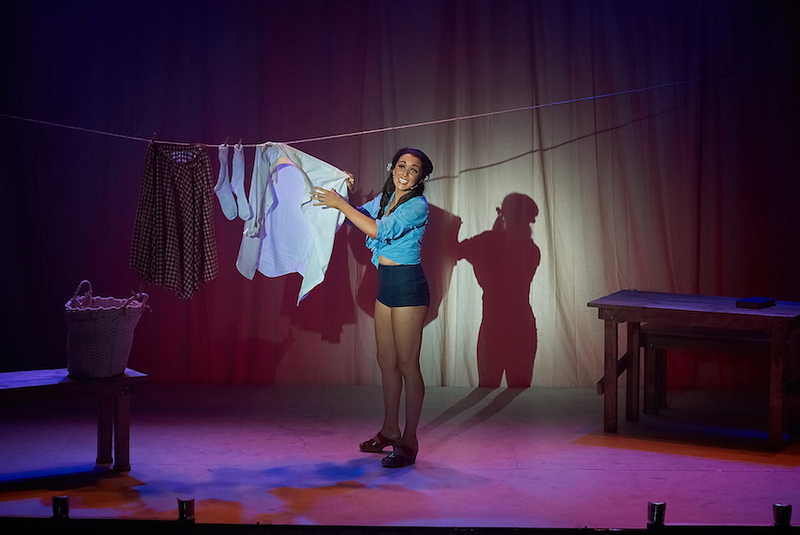 The lead characters are established as distinct “roles” in the true sense of the word, rather than just straightforward opportunities for dance. Welch has also crafted an interesting and varied mix of characters in the ensemble, and has deftly added moments of featured male dancing when a boost of masculine energy is needed. Solor and Nikiya, danced by Daniel Gaudiello and Madeleine Eastoe on opening night, begin their love with a slow and sensuous pas de deux. Dancing with exquisite delicacy and artful grace, Eastoe conveyed the vulnerability of the young maiden, endearing the character to the audience. Gaudiello showed unwavering strength, with his characteristic charisma and showmanship shining through as the ballet progressed. His all too brief solos in acts two and three were exceptional. Acting skills are key in act two when Solor is plagued by doubt as he is forced to dance with Gamzatti, and Nikiya knows she must perform as a temple dancer but cannot bear to see Nikiya with Gamzatti. In the third of their act three pas de deux, the pair really soars, leaving no doubt of the power of their love. Taking a visual cue from their second Shades pas de deux, Welch crafts a stunning climactic image as Solor follows the long veil of Nikiya to join her spirit after the destruction of the temple during his wedding to Gamzatti. Lana Jones captured the venom and unhinged mania of Gamzatti, contrasting the unpleasantness of the envious character with dancing of enticing beauty. Laura Tong was an excellent partner for Jones, playing the equally spiteful Ajah. The pair have a delicious final moment after their plan succeeds, as they exit in horror not at the murder they have committed but at the final kiss shared by the heartbroken Solor and the dying Nikiya. John Lanchbery’s expert arrangements of Ludwig Minkus’ lovely music create a score that has a quasi-operatic feel in terms of strongly suggesting mood through music and in the use of character motifs. Guest conductor Philip Ellis leads Orchestra Victoria in a wonderful performance that brings out the deepest of brass and lightest of strings. Peter Farmer’s costumes and set designs are on a rather epic scale. The muted pastel jewel tones of the costumes suggest a noble, understated majesty, with glistening gold trimmings providing an extra sparkle. 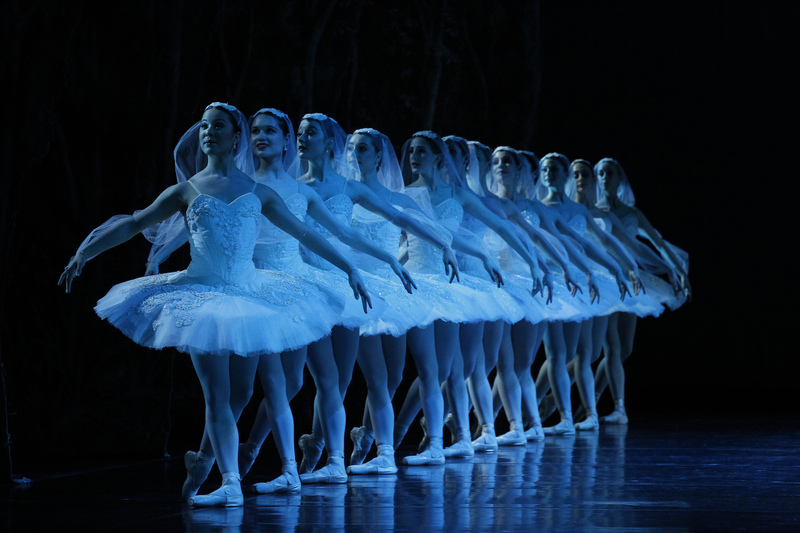 Female costumes are revealingly slight and filmy, until the glorious avalanche of pristine white tutus of the Shades. While the settings are impressive in scope, the traditional nature of their design and implementation gives an old fashioned appearance to the production. 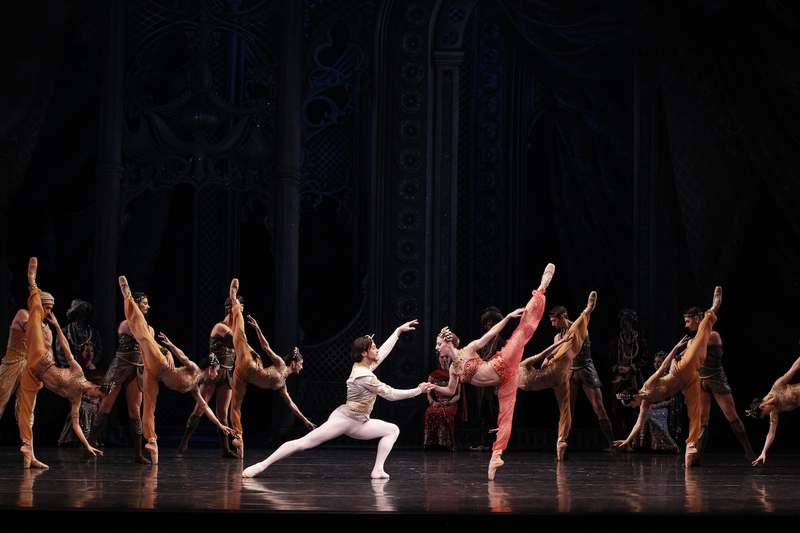 In terms of bringing ballet design into the new millennium, the sets pale in comparison with 2013’s Cinderella. Francis Croese’s lighting design greatly enhances the appearance of the sets, using slow rises and plenty of haze to create painterly images, and using contrasting colours to create the appearance of further depth in the stage. The arrival of the Shades is masterfully lit, with the first few dancers glowing white on an otherwise blackened stage, and then the lighting increasing as the full complement of 24 Shades (plus soloists) arrive. Top marks to the female artists for the discipline and skill that creates their mesmerizing work in the entire Shades sequence. To be lost in the serenity of this scene is what going to the ballet is all about. Even while dressed identically to some 27 other dancers, each Shade Soloist (Miwako Kubota, Ako Kondo, Juliet Burnett) made an individual impression with their dancing. 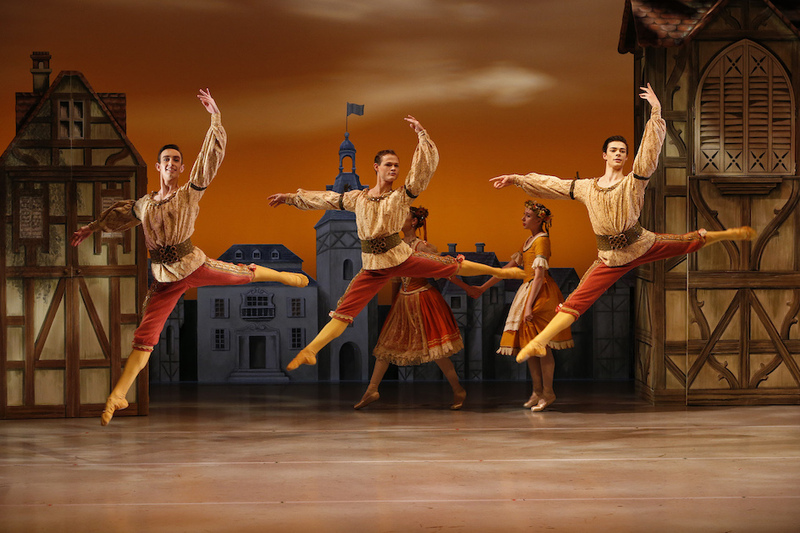 Welch’s production makes the deceptively challenging ballet seem effortless. Fans will thrill to the exotic variations; newcomers will be blown away. 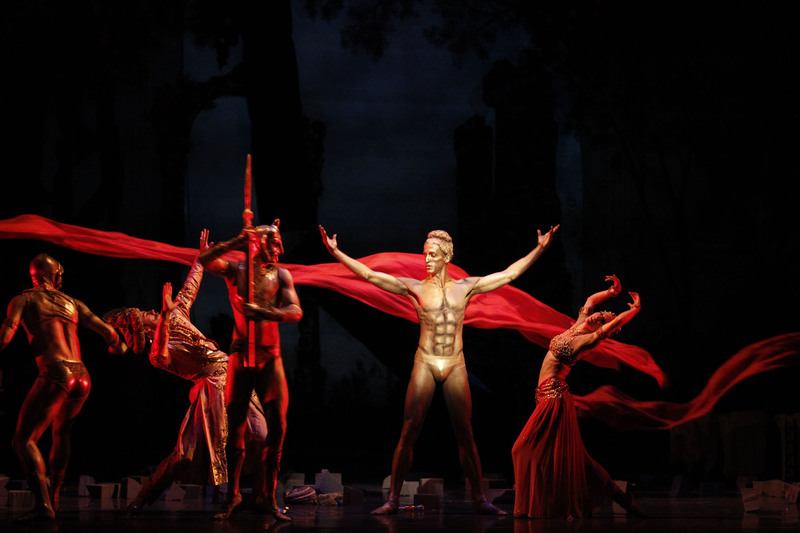 La Bayadère plays at State Theatre, Melbourne Arts Centre, until 6 September 2014. 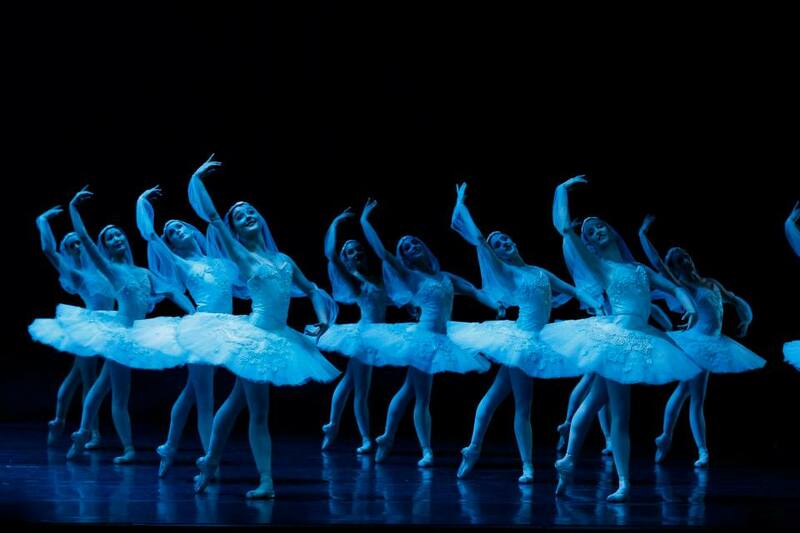 La Bayadère plays at Joan Sutherland Theatre, Sydney Opera House, 6-22 November 2014.